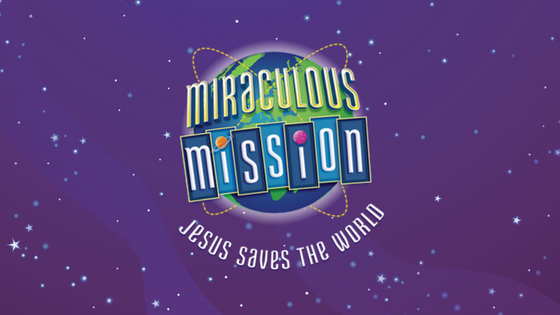 We’re bursting with excitement for our 2019 VBS theme, Miraculous Mission: Jesus Saves the World. Join us for a interstellar adventure as we learn about our God who created our amazing universe and also loves each of us with a vast and amazing love. Here’s a sneak peek at the Bible lessons and space-filled-fun that awaits! All five of this year’s Bible stories share God’s plan of salvation, from creation to the cross, reminding us that Jesus is the center of God’s Miraculous Mission. Watch our theme video and then read more about each of the stories that will be featured in this year’s program. We want your children to join us for learning, for fun, and for some awesome music. For more information or to register your child, please contact the church office at 316-733-2633.